In the popular narrative teachers are cast as saints or slouches, heroes or zeros. They either forgo their material well-being for the reward of a higher calling, or they show movies, have too much time off, and are impossible to fire. 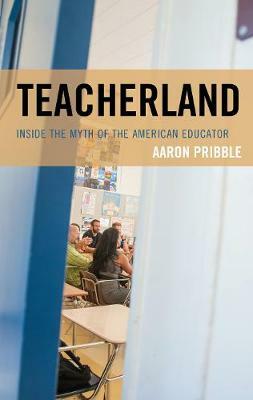 Teacherland fills the gap between these two cliches with insight, humor, and conviction. How do you manage a room of energetic adolescents and ensure everyone is learning? What happens when some students begin with a distinct disadvantage while others have every opportunity? How do colleagues and friends help counteract the profession's inherent isolation? What happens when you make embarrassing comments in class, or can't use the bathroom when desired? How do you deal with Back to School Night and Open House, staff meetings and rallies and dances? These are but a few of the questions Teacherland considers, with the ultimate goal of improving our education system by humanizing the teaching profession. It aims to reframe the debate about what it means to teach and learn and to show-for real-what life is like behind the curtains of one of America's most important occupations.